However, that’s not really the case. Artificial Intelligence is more about building intelligent systems with decision-making abilities. For instance, let’s talk about the spell and grammar-checking applications. Back when these applications were first introduced for computers, they were considered highly intelligent. In a way, these applications were some of the earliest forms of AI. But, today, these applications don’t invoke feelings of excitement and fascination like they did a decade earlier. The truth about AI, however, is more complex than it seems. It boils down to writing millions of lines of code that eventually solves a problem by applying some sort of “intelligent” algorithm. An Artificial Intelligence system can exist solely as software similar to bots used in games. However, in most cases, AI requires the use of hardware components to build truly intelligent machines. And, this is exactly where the relation between AI and embedded systems becomes so important. Over the last few years, embedded systems have reached a certain level of “smartness”. More and more smart devices are being launched every month. We are already at a point where artificial intelligence in its very basic form has found its way into the heart of embedded devices. For instance, smart home lighting systems that automatically turn on and off based on whether anyone is present in the room. On the surface, the system doesn’t look too glamorous. But, when you think about it, you realize that the system is actually making decisions on its own. Based on the input from the sensor, the microcontroller/SOC decides whether to turn on the light or not. Isn’t this a very basic form of AI in embedded systems? 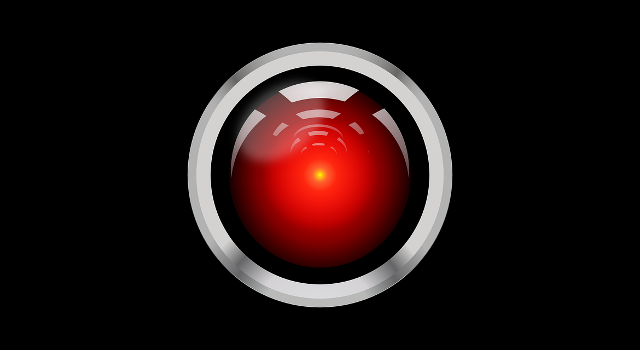 There are plenty more examples of simple forms of AI in embedded systems. But, what about the future? Will we have embedded systems equipped with AI that can completely replace the work of a human? Well, it seems like such systems are already in development. So, let’s take a look at how AI and embedded systems are working together and how they are progressing. In the near future, the convergence of AI and embedded systems will lead to huge improvements in image and video recognition. Advancements in embedded technology will help us build imaging devices with higher processing power and smaller footprints. At the same time, AI will provide the much-needed algorithms required for real-time image and video recognition. Implementation of these intelligent imaging devices for public security will be beneficial as it will detect potentially dangerous behavior. Such systems will also be adopted for better inventory management in factories, monitoring of transportation systems, and development of industrial automation. If you remember, Amazon has already unveiled a grocery store where highly intelligent cameras are equipped with the ability to identify each and every product that’s picked up from the shelves. Embedded systems and automobiles are more related than you think. The navigation system, airbag deployment mechanism, Anti-Lock Braking system, and more have embedded systems in common. But, the introduction of AI in automobiles will be the real game changer. For the last few years, autonomous cars have been in development and in a number of field trials as well. Tech giants like Google, Tesla and Uber are investing billions of dollars in R&D with an eye on creating a driverless future. Don’t worry, we probably won’t be give up driving our cars anytime soon. So, it might well be over 15 or 20 years before you start seeing robotic cars cruising through the streets. In the meantime, more and more automatic features will be added to our traditional cars. For example, the new 2017 Mercedes Benz E-Class allows drivers to change lines by simply pressing the turn signal for two seconds. In the near future, the advancements in embedded systems will help manufacturers put powerful sensors on board. This will allow the car to automatically deploy counter measures such as closing windows, retracting the steering wheel, etc. Some of the most hazardous jobs in factories are already being taken care of by machines. Thanks to the development in embedded electronics and industrial automation, we have powerful microcontrollers running the entire assembly lines in manufacturing plants. But, most of these machines are not quite fully automatic and still require some sort of human intervention. However, the time will come when the introduction of AI will help engineers come up with truly intelligent machines that can function with zero human intervention. One such area is the development of bomb-defusing robots. Machines equipped with AI could take over jobs such as the manufacture of potentially dangerous chemicals, drilling, and welding, etc. Apart from these fields, there are plenty of other areas where the convergence of AI and embedded systems will lead to wonderful opportunities. Healthcare, for instance, is already reaping the benefits of investing in AI technology. Internet of Things or IoT will also benefit greatly from the introduction of Artificial Intelligence. We will have smart automation solutions that will lead to energy savings, cost efficiency as well as the elimination of human error. Let’s take a look at some productivity tools that are benefiting from the development of AI in embedded systems. Host Adapters play a very crucial role in the embedded systems development industry. These tools allow you to easily develop and debug embedded systems. If you are using the I2C or SPI protocol in master and slave configuration, you can use the Aardvark I2C/SPI host adapter. It will enable you to communicate with your embedded environment and analyze the crucial data. Programmers who are looking for fast programming can also use Host Adapters to seamlessly develop their applications. Cheetah™ SPI Host Adapter is one such adapter which offers high speed of 40+ MHz. Protocol analyzers are indispensable tools in the toolkit of an embedded systems engineer. They allow you to view detailed information about the I2C, SPI, and CAN buses,in real-time. Protocol analyzers work by capturing and analyzing the data across an interface bus. Due to this, protocol analyzers such as the Beagle USB 12 Protocol Analyzer are so important in the development and debugging process – allowing you to analyze the data obtained from a protocol analyzer and generate actionable reports to test and validate your applications. Total Phase offers products to help embedded systems engineers apply their knowledge to artificial intelligence. Click below if you would like to learn more about how Total Phase can help you build an AI system, or have a personal demo specifically to address your needs.